The PS703 and PS704 Express utilize a 2.4 GHz 64-bit POWER7 processor and are available in sixteen-core or thirty two-core configuration. The BladeCenter PS703 and PS704 have flexible, scalable architecture that lets you choose the right solution for your dynamic business and delivers the utmost in investment protection, performance growth, and time to value. You can consolidate on IBM BladeCenter Power Blades and virtualize applications to better utilize resources. Custom Configure your 7891-74Y1 now or request a quote on upgrades and/or parts, or contact us at info@vibrant.com or 888-443-8606 with any questions. 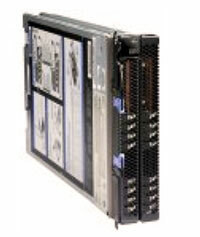 For pricing on new or used IBM 7891-74Y1 server models, upgrades or parts, please contact Vibrant sales at sales@vibrant.com or call 888-443-8606 or 952-653-1700.